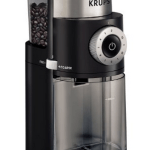 Our last blade-driven coffee grinder nearly drove us crazy with its insufferably loud grinding and constant malfunctioning, so we kicked it to the curb. We watched as the garbage man hurled it into the trash compactor and drove off. 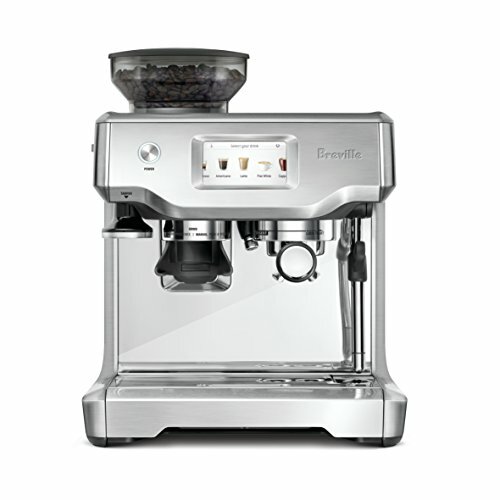 We were glad to be rid of it, but this meant we had to start shopping for a new coffee grinder a couple of months ago, and our budget was limited. Where to turn? More consistent grinds for better-tasting coffee! Later that same day, we took a trip to the mall, and we came across this little gem at the home store – the Bodum Bistro Electric Burr Coffee Grinder, in lime green. My wife and I both thought it was pretty darn cool, and we decided to go for this color even though they also had it in black and white as well. Since we got the lime green model, the first thing I can say about the Bodum Bistro is the minute we got it home and plugged it in, it really stood out in our fairly neutral-colored kitchen. One thing is for sure – you can’t miss this thing sitting on your counter. Color choice aside, aesthetically this is a very nice looking grinder and I would even venture to call it “fun” to look at. It has a very playful feeling to it, and that’s part of the appeal here. 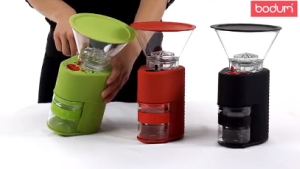 Here is a quick video to show you the Bodum Bistro Burr Coffee Grinder in action. 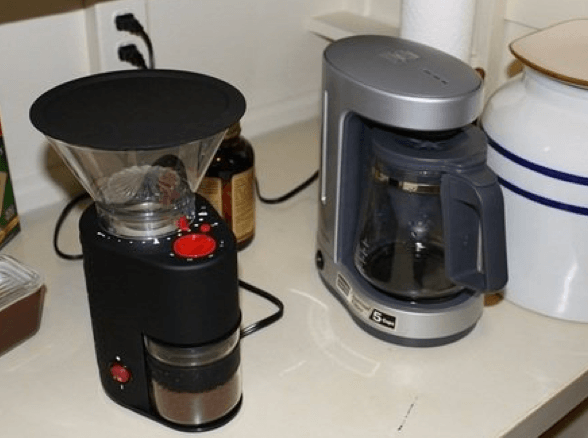 After using the Bodum Bistro for a couple of months, I have to say that one of the things I like about it is the fact that its really super easy to use. A lot of grinders, for one reason or another, can get a little complicated, and I personally don’t have time to fuss over some overly-complicated machine. Here is a simple run down of how to use the Bistro. I’m sure you will agree, it couldn’t get much simpler than this. 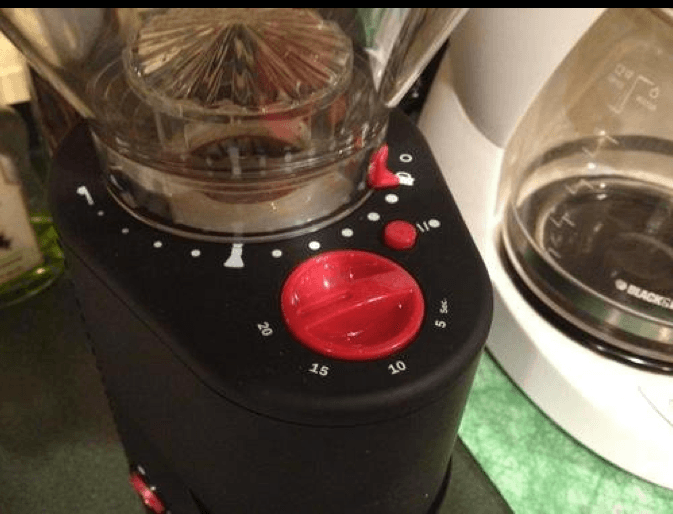 Once you turn on the on/off switch which is on the bottom left side, a red light comes on, and then you need to set the timer to the appropriate grind time using the timer. If you set it for 20 seconds, it will grind for twenty seconds once you press the other red button next to the timer. The coffee goes into the borosilicate glass container that fits tightly in place to receive the grinds and there’s basically no mess at all. Easy, right? To recap, there’s an on/off switch, and that means the machine is on and ready to grind, and then a grind-on-demand button which starts/stops the grind cycle. What I really like is how all the important stuff is done in red, so there’s very little chance for me to get confused at all here. The timer doesn’t move like an egg timer, it just stays put, but grinds for however long you set it for. I realize that I am going over a very simple process that basically anyone could figure out if you took a minute or two, but I just wanted to make the point that that’s really it. 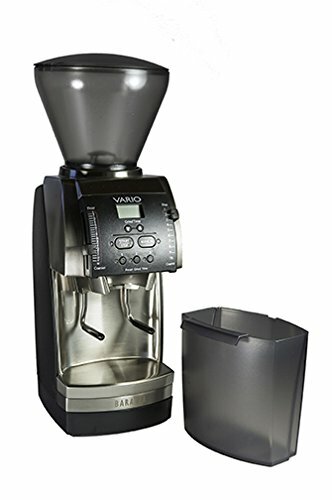 I’ve used some more expensive grinders, and, were I to review them, it would literally take a page to describe to you how it works. 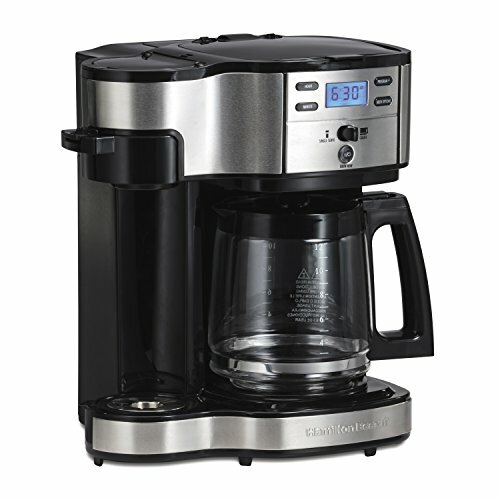 With the Bistro, its completely straightforward – even a newbie home brewer/grinder person could figure it out in under five minutes. This is a stepped grinder, so you have to adjust the grind settings to find the grind you want from coarse to fine. 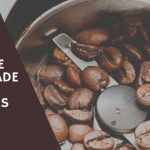 This took us some getting used to, but before long we knew what grind settings we like the best, one being the coarse grind for French Press, which is our favorite way to make coffee at home. 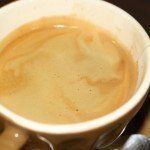 I think that’s part of the charm of making your own coffee at home using your own grinder – you get to tinker around a bit to get everything just the way you like it. When I’m grinding for espresso, I usually just stick my porta-filter underneath the hole where the grinds come out and they fall neatly inside. Because I do happen to have a really nice espresso maker at home (the Gaggia Classic, I might add), I went out and bought a Rancilio Bottomless Portafilter, which is a pretty fancy model but it really makes a difference with my espresso. Together with my Bodum Bistro, my espresso maker, and my portafilter, I’ve got a pretty nice little triad of coffee goodness right there. 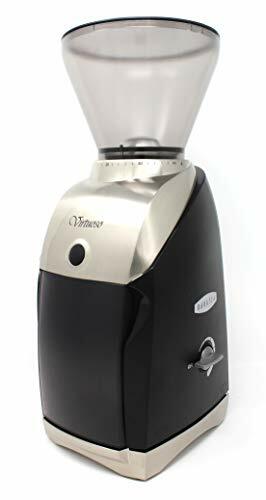 It’s worth mentioning again that the Bodum Bistro is indeed a conical steel burr grinder, which is the best method for grinding your fresh whole coffee beans. 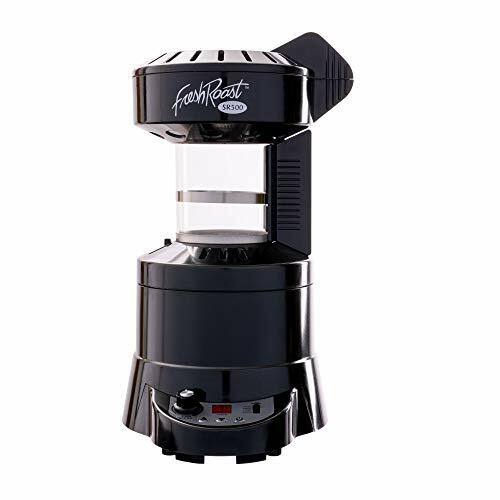 The unit itself is made mostly of nylon (which is more durable than normal plastics), but it is a solid little machine and doesn’t move around at all when you hit that grind button. The grind quality is also very consistent, we’ve noticed. 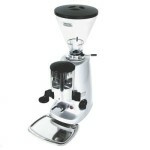 The hopper is a fair size as well and you can get a decent-sized pot of coffee out of just one twenty-second grind. 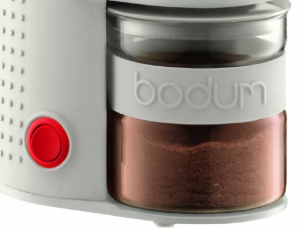 Bodum recommends waiting a little while after a twenty second grind so as not to overheat the machine. We find this to be fair enough. This machine works hard and is very well-behaved, so the least I can do is give it a little rest between grind sessions so as not to wreck it or burn my grinds. 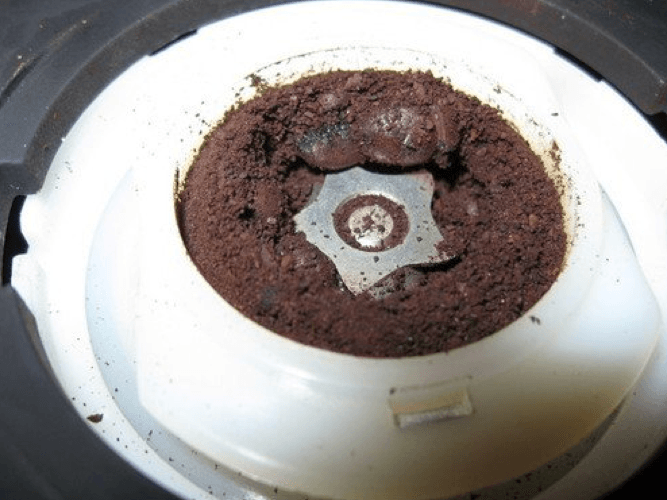 Watch out for the bottom of the grinds container – the glass is rather thin and if you hit it with a metal spoon too hard it could crack. I nearly made that mistake a few times. The glass is actually called borosilicate, which I’d never heard of before I got this coffee grinder. They could have made the glass a touch thicker on the container. As it is, I just have to be a bit more careful. We have a few pangs of regret with going for the color green, but, all things considered, the quirky lime green model has its own special charm. Apparently the Bistro also comes in a number of interesting colors, like bright orange. 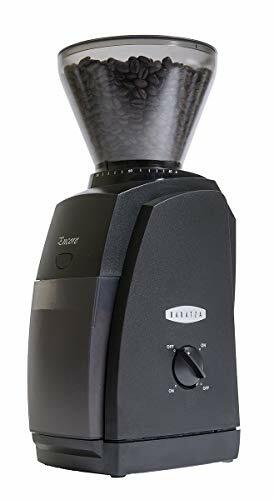 I would definitely recommend this coffee grinder to anyone who wants a quality grinder but doesn’t feel like spending a ton of money. This one I would say is worth the price. My wife and I give it 5 stars! I found I had to grind twice to get it fine enough for espresso. Once through was quite uneven. 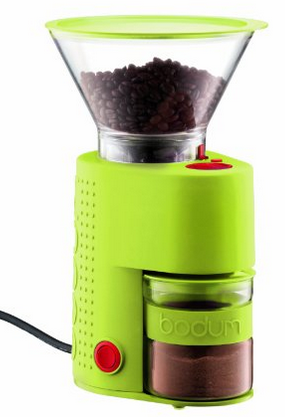 I don’t have this particular grinder but I have another one that Bodum makes, and it certainly does the trick! I might actually have to get this one though since it looks like you can store your beans in it, which would be quite handy. Having to get the bag down from the cabinet and pour the beans in the grinder every day is a bit of a pain. I say old chap… If you care enough to grind your beans then care enough to store them properly. Keep them tightly sealed and in the dark. Besides the oil from the Ben’s would mean more collating of the grinder.